The first month of 2019 whizzed by, with our winter downtime in southwestern Florida drawing to a close. The weather during our stay was mostly on the cool side, sometimes wet and drab, but with several beautiful warm days in the middle. The humidity wasn’t too bad and we got nary a bug bite during our stay – yay! 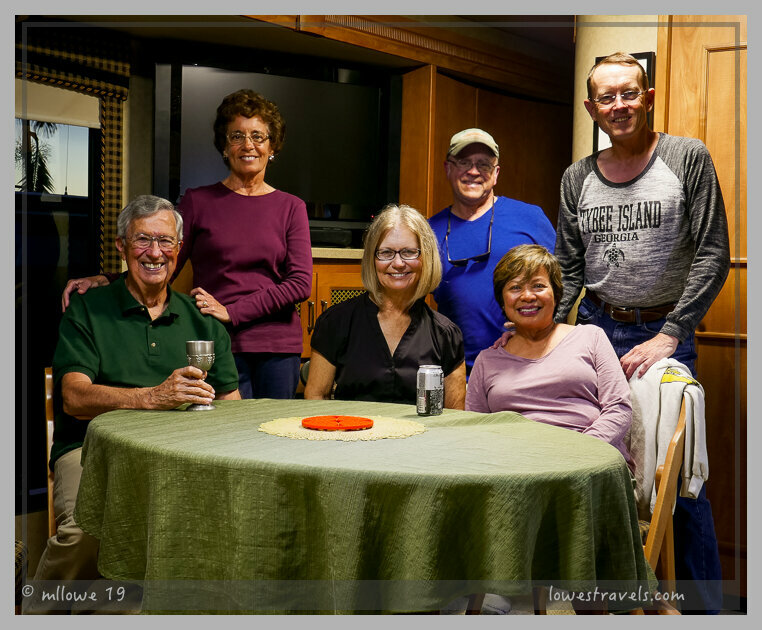 As is to be expected in a typical Florida RV resort, we were feeling cramped at Lake San Marino RV Resort during our one-month stay. 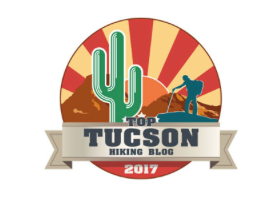 We spent the first few days whining and complaining about our dislike of our site, especially that Steve couldn’t use our grill (no fires of any kind allowed). Wailing sirens and almost constant noise from the next door cement plant didn’t help matters. However, it had some redeeming qualities, including its proximity to lots of shopping, good access to beaches and a wonderful Tuesday farmers market right at the park. So as weather permitted we socialized, took many walks on the beaches and through the swamps, and checked out some wildlife along the way. Our previous visit here 5 years ago gave us a good knowledge of the area and what we wanted to do this time around, and meeting up with friends during this stay made it very enjoyable. 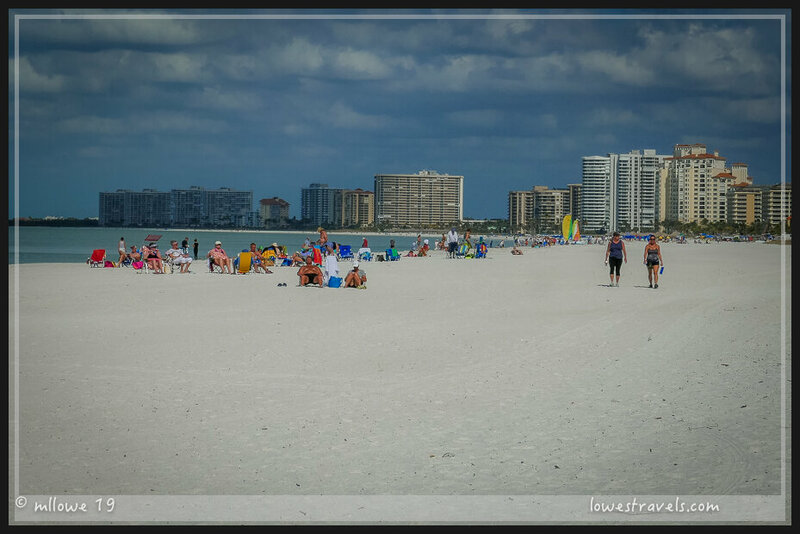 Naples is located in southwest Florida, also known as Paradise Coast. 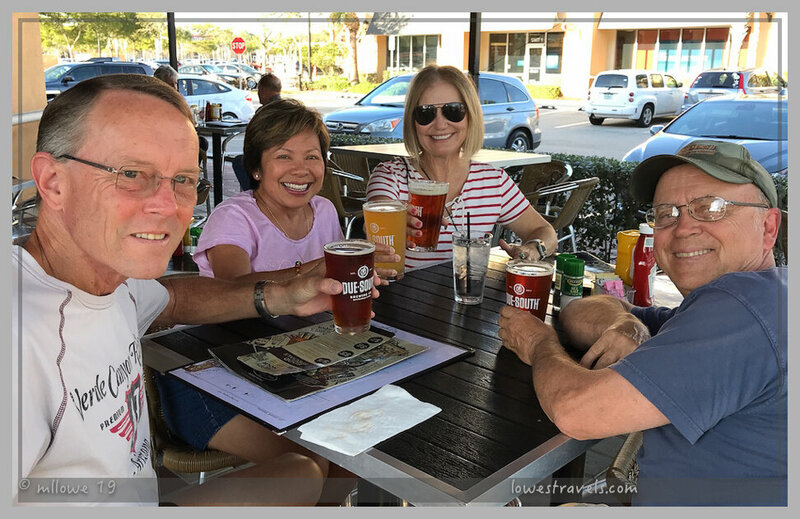 History says that in the early 1800’s two gentlemen – General John S. Williams (a senator from Louisville, KY) and Walter Haldeman (owner of a Kentucky newspaper) – sailed down the coast near present-day Naples. Noticing the miles of pristine beaches, they also discovered a bay just behind the beach. They thought they’d found paradise, hence Paradise Coast. Later they established a town they named Naples, reminiscent of the Italian peninsula. They developed it as a winter retreat, and by the late 1880’s it gained popularity as a winter resort for wealthy northerners and sportsmen – you might say they were the first snowbirds! Fast forward to the 21st century, Naples is more popular than ever and we joined the thousands of other snowbirds flocking here this winter. The beaches we visited didn’t disappoint, and we can see why this area is such a popular destination. 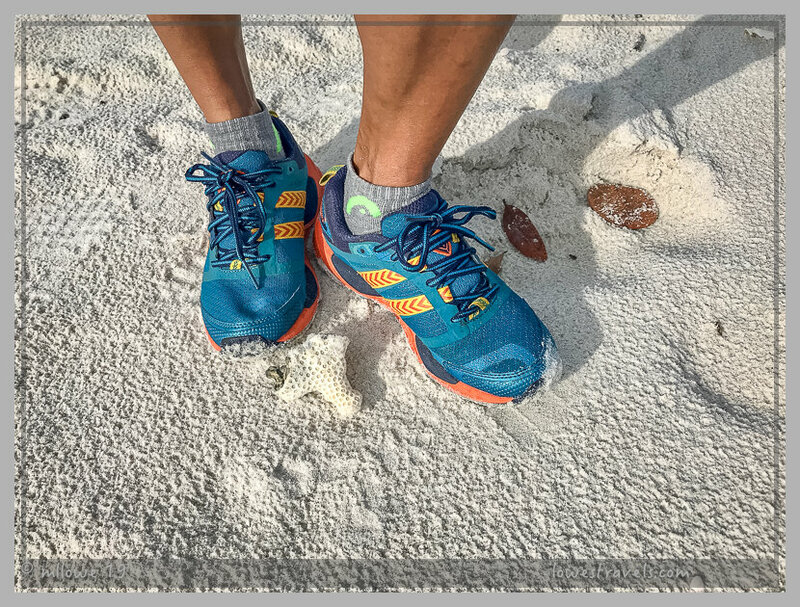 Miles of powdery sugar-white beaches framed by inviting turquoise and blue waters along the gulf is a beach bum’s dream. 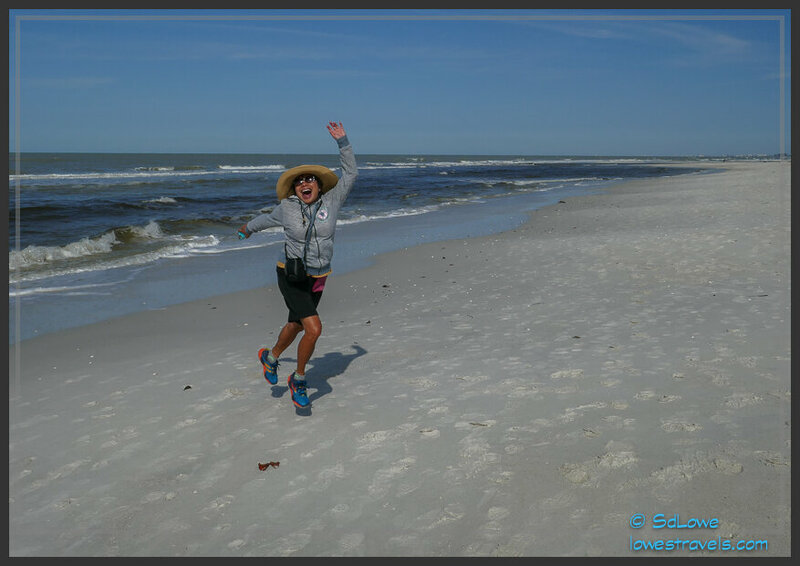 We revisited some beaches and enjoyed a few new ones, thinking the $6 to $8 parking fees were reasonable – even though we usually left before the midday crowds arrived. 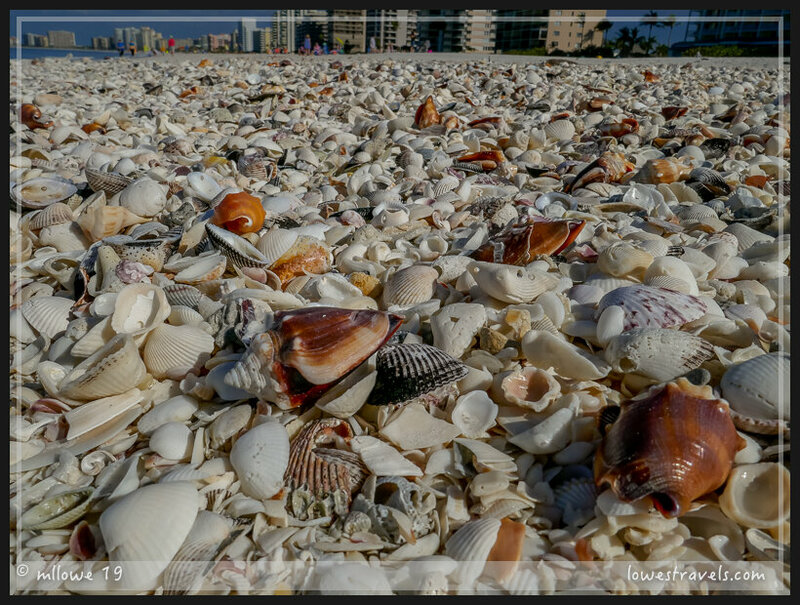 Paradise Coast is a paradise for shell collectors! 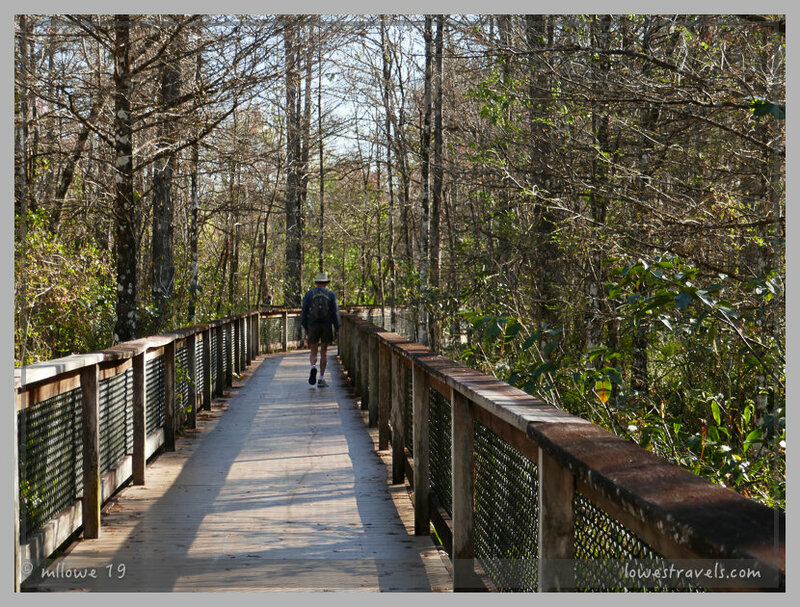 Several of the “trails” we followed were actually boardwalks built over the low-lying, flat wetlands. It was nice to learn about marsh ecosystems without impacting the fragile, unspoiled areas around the boardwalks. 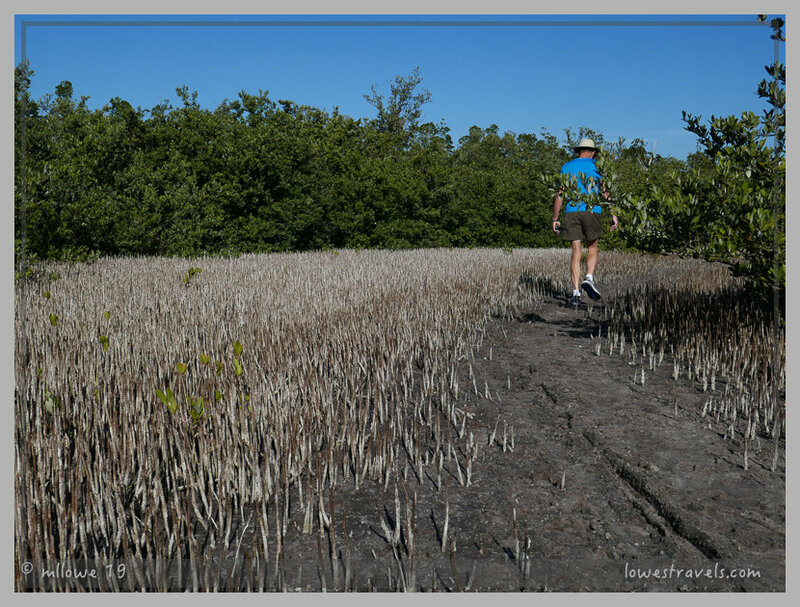 At Estero Bay Preserve State Park, we followed muddy trails through tidal marshes and wet flatwood that make up the uplands surrounding the mangrove fringe along the bay. The park became Florida’s first aquatic preserve, serving as a land buffer to protect inlets and islands along 10 miles of Estero Bay. 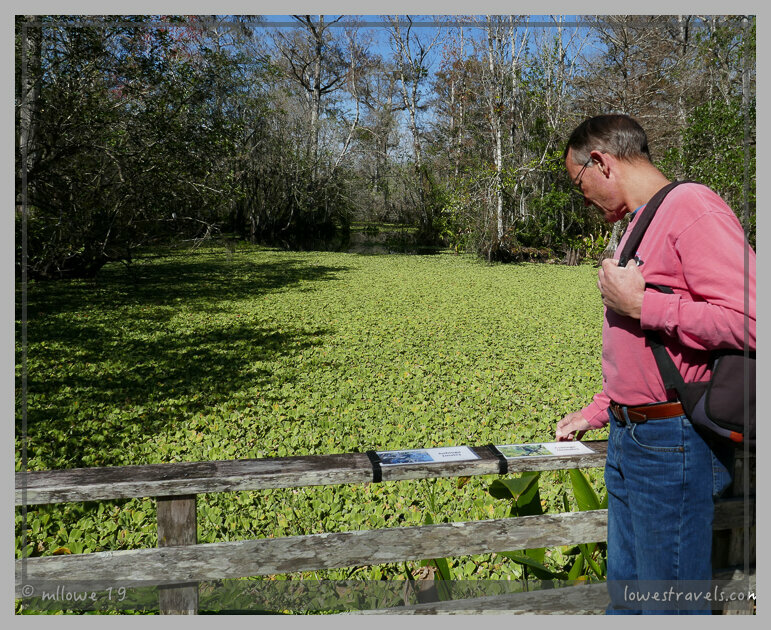 Walking the 12-mile trail through some of the most pristine habitats in southwest Florida, we experienced a glimpse of “Old Florida” at Crew Bird Swamp Rookery. 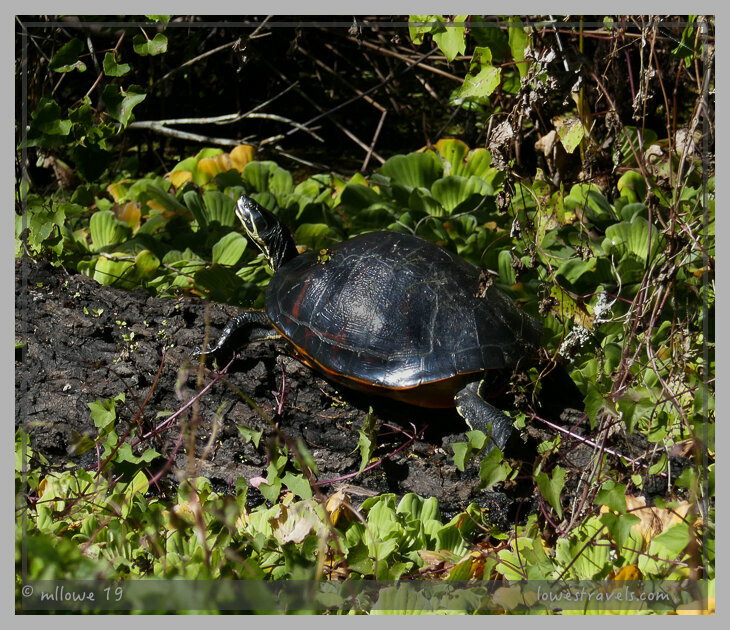 This wild space is home to hundreds of alligators, playful otters, and red-bellied turtles. 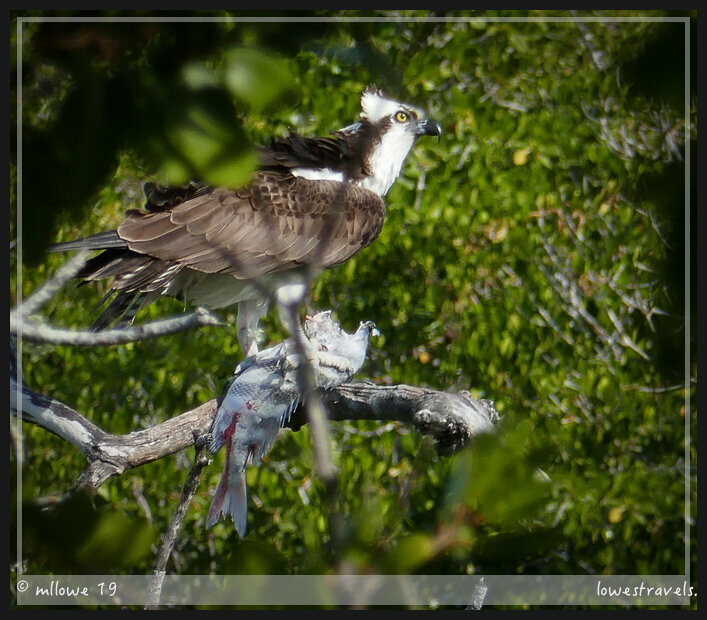 We enjoyed hearing a raucous among the wide variety of wading birds, songbirds and raptors we saw along the trail. With a smirk like that, who wouldn’t be scared? 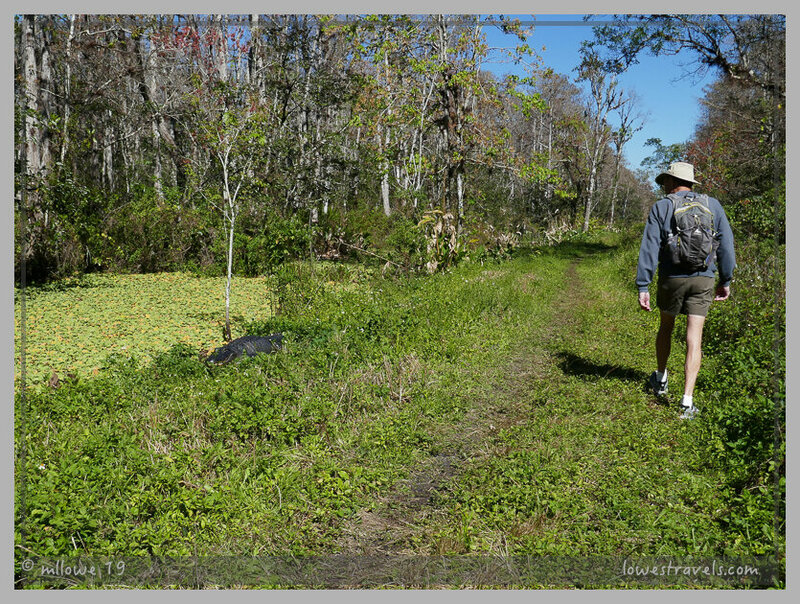 After about 30 minutes the huge gator finally moved far enough that we could walk (no, run!) behind him to resume this hike that we’ll never forget. And that wraps up our month in Naples, our last visit here in Betsy. I so enjoyed your post as I don’t think we will find ourselves in Florida any time soon. 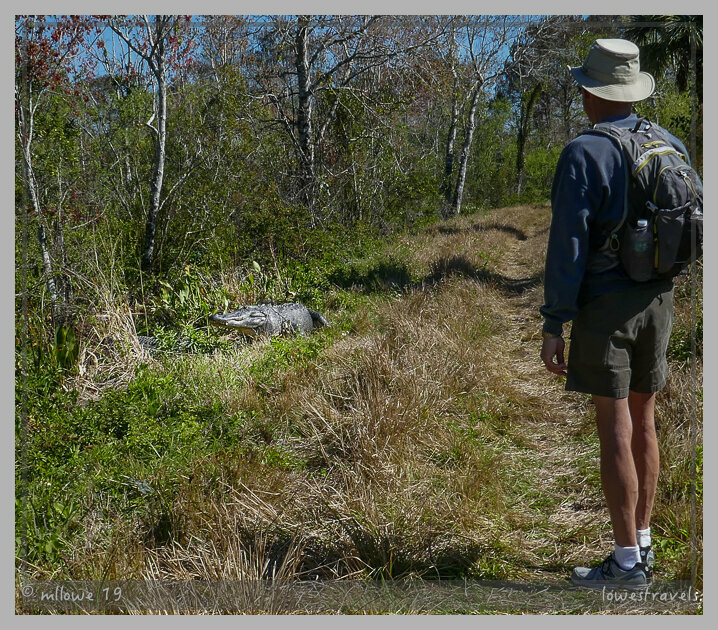 Alligators on the trail do make me a little twitchy. Us too, this is it! 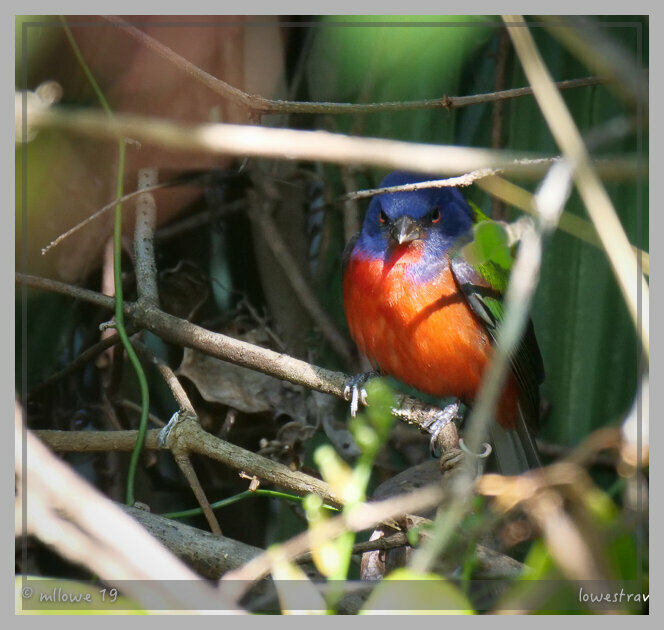 I loved the shot of the painted bunting. I have never seen one. 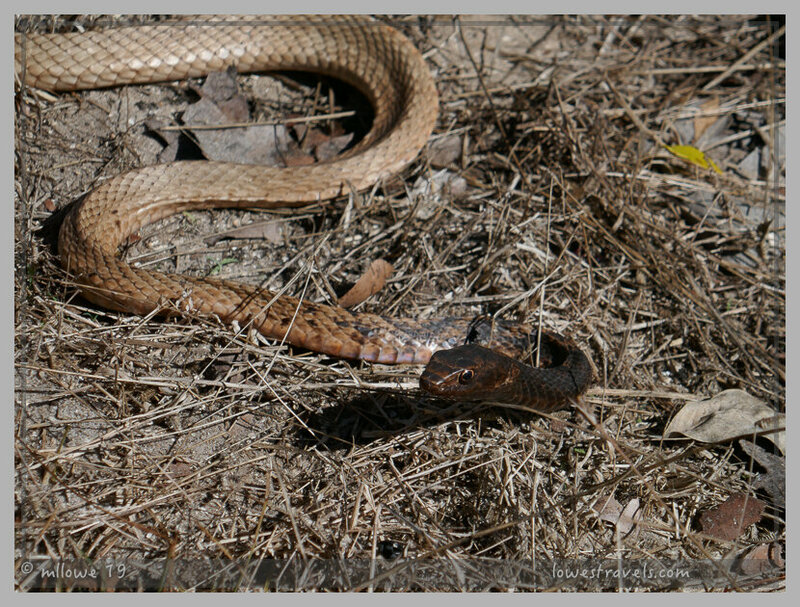 The corn snake was cool also. Thank you Shawn, the bunting was deep under the shrub, glad I captured that look. I was assuming (hoping?) 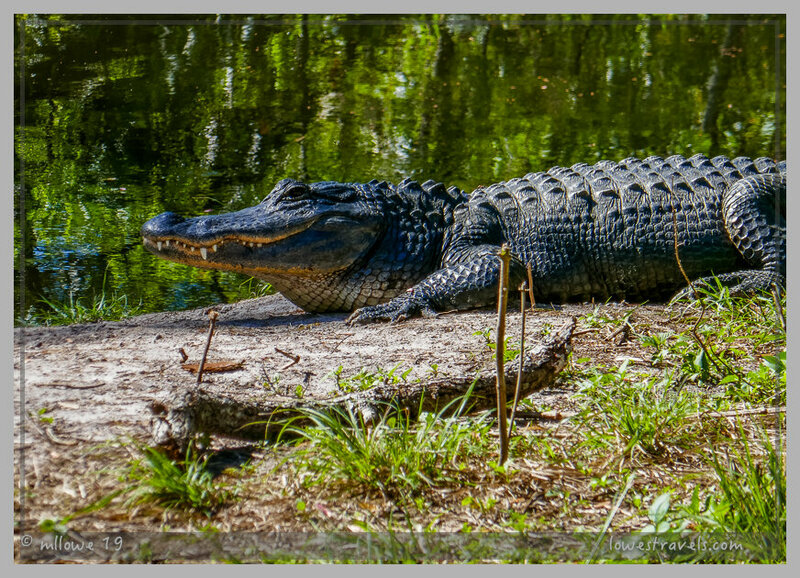 that first alligator pic was taken with a zoom lens. Nope! Y’all were right next to those prehistoric monsters! You guys are nuts. I would have noped right out of there and headed to the mall. Anyway, we did love those awesome Florida parks. They’re beautiful and unique and always so well maintained. Looks like you found some great ones. Glad you found some stuff to smile about even though your campground wasn’t the greatest. Safe travels! 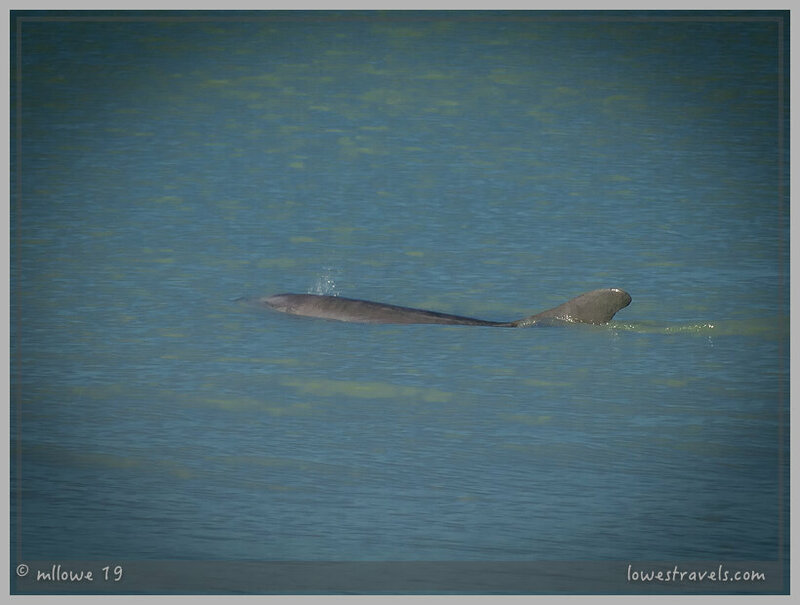 Those guys were close by and we had no problem passing thru a few of them until that last one who won’t​ budge. We were in a pickle for half an hour or so and those encounters were one for the books! Beautiful photos MonaLiza. 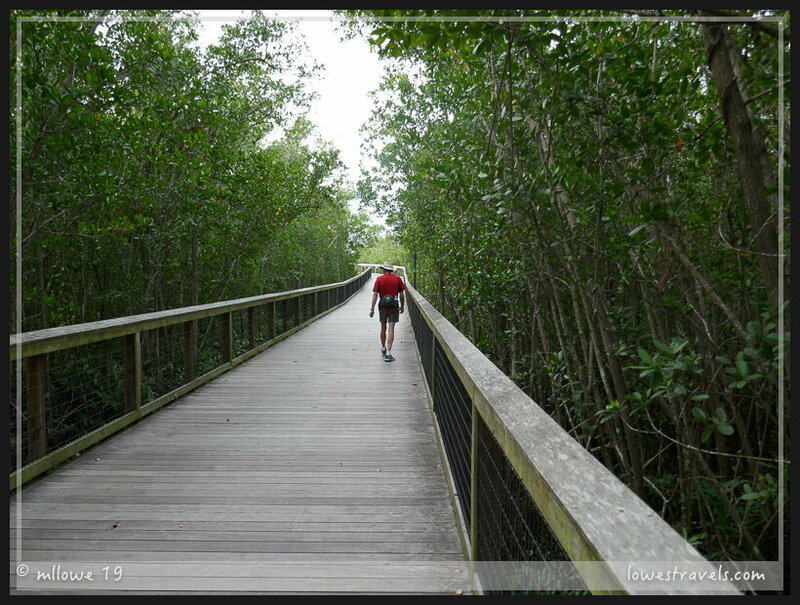 Joe and I have never visited that far south in Florida…love that there are so many wonderful wildlife areas to visit. Might just have to talk with Joe about a trip there. Enjoy the rest of your Florida trip…and some yummy shrimp and oysters! We went that far for the weather 🙂 I think you should try visiting the everglades one day. I enjoyed this post very much. 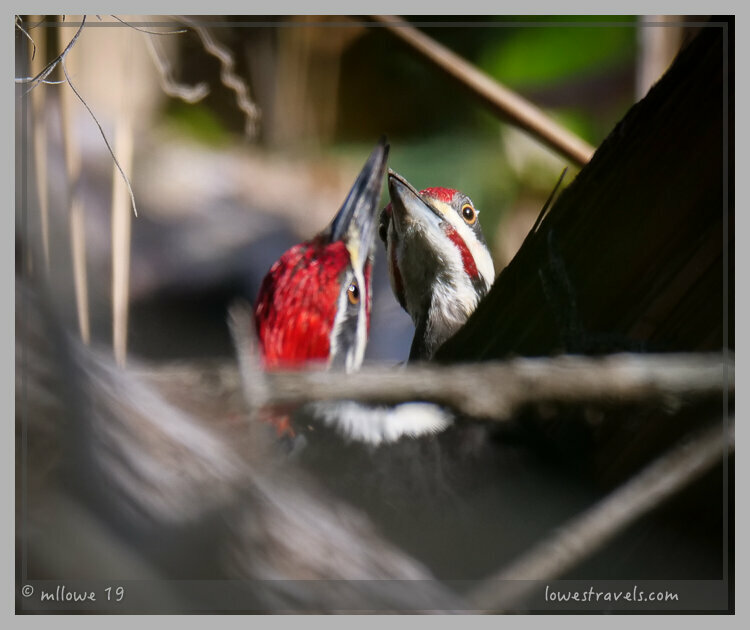 Love your Wildlife pics! 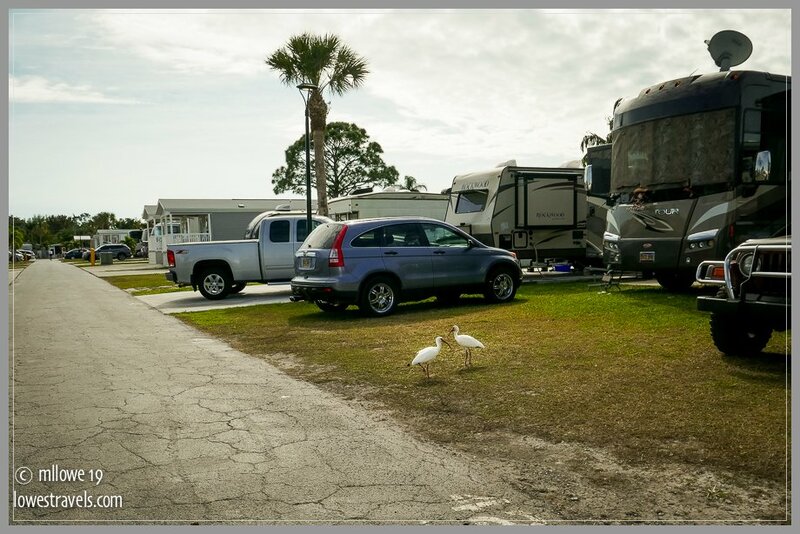 Tight campgrounds have two advantages … you don’t mind being indoors to do chores and you have a built in incentive to get out and go sightseeing. Looks like you did just that and made the most of your time there. 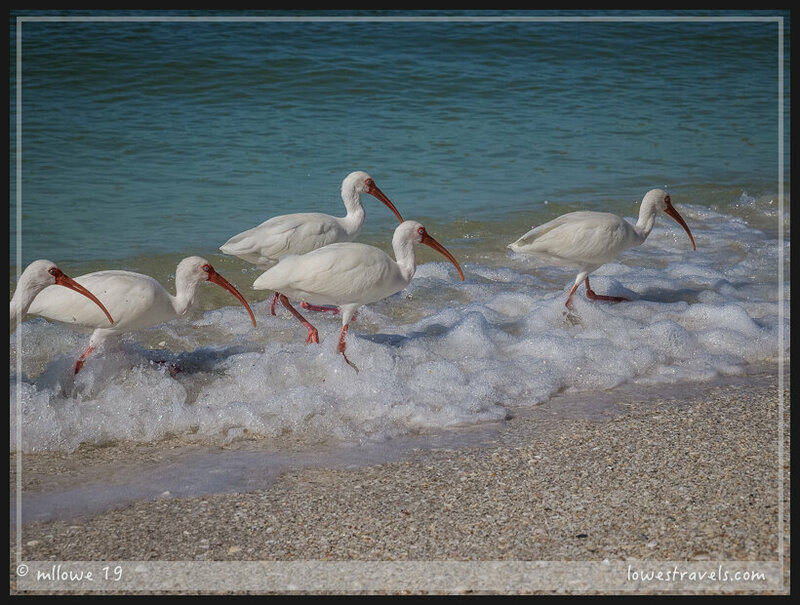 Love that photo of the congregation of Ibis. I think the whole Gulf Coast has had the same weather this winter. But we’ve all made the best of it. 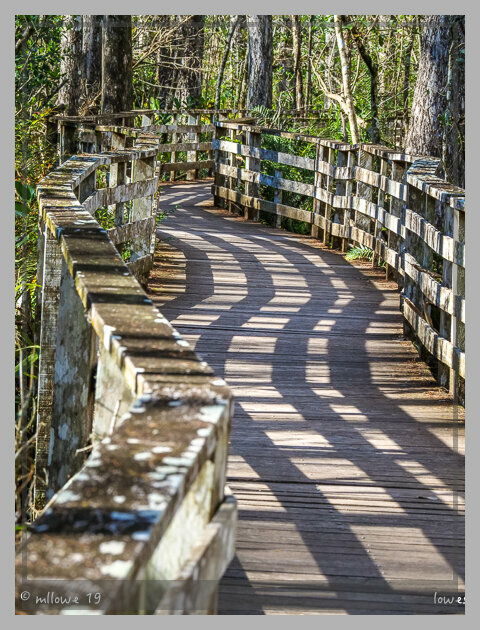 Looks like some great walks. Our gator encounter this winter wasn’t so dramatic, at 50* they don’t move much. Like you we’re so glad to be rolling again. 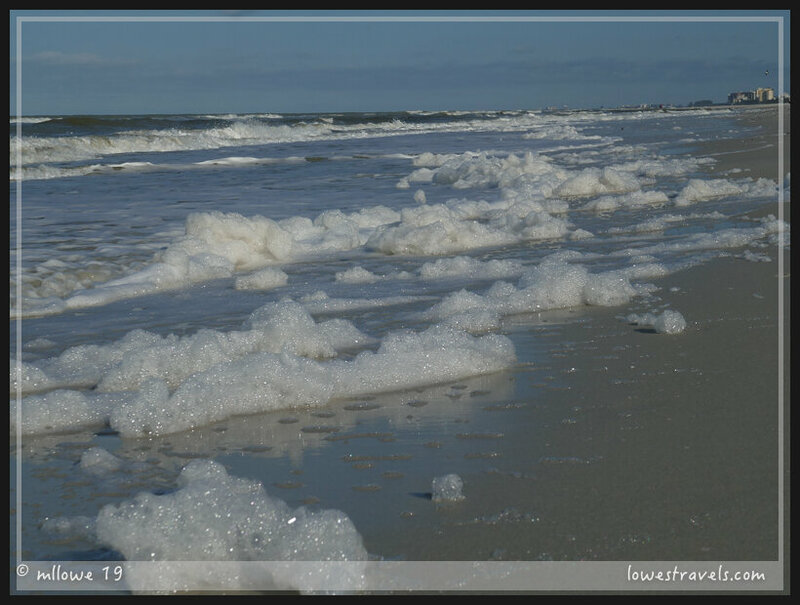 See you in the FL panhandle. Those encounters were one for the books for sure! Incredible wildlife photos! I love the one of the otters at the beginning as well as the one of the vines imbedded into the tree. Those otters were really cute. At first I did not understand why they were making lots of noises as I watched them. Later I realized they want me out of there so they can play. While you may not have loved your park, you certainly made the best of your time in Florida. I love all the wildlife you found on your hikes. Your gator hike was very interesting! Looks like lots of friends near by to keep you busy, too. 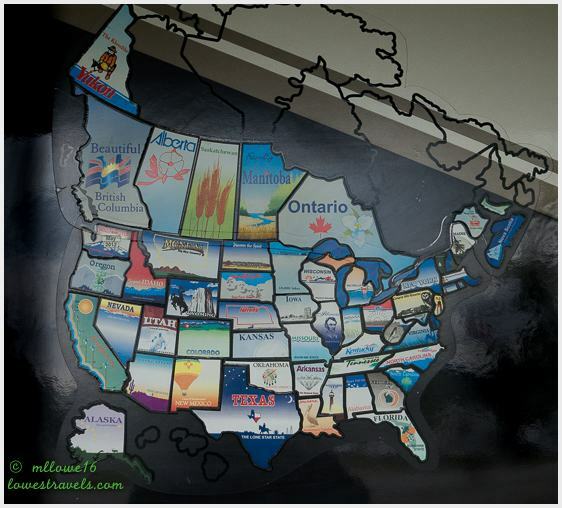 Safe travels as you move west. Great blog post title! So glad to see that your time in Florida is turning out to be fun. No bugs and low humidity are two big pluses—I hope it will be the same when we arrive next week. 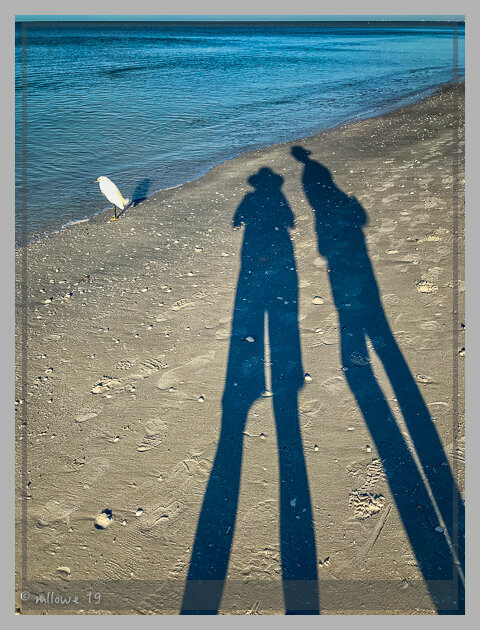 Love your photos of your beach adventures, and your wildlife photos are fantastic! It’s hard to beat Florida for wildlife. Although no matter how much time we spend there, I still don’t like close encounters with alligators. Their brains are the size of a lima bean, and their teeth are too big. That’s the best part, no bugs and low humidity! Our gator encounters were one for the records! 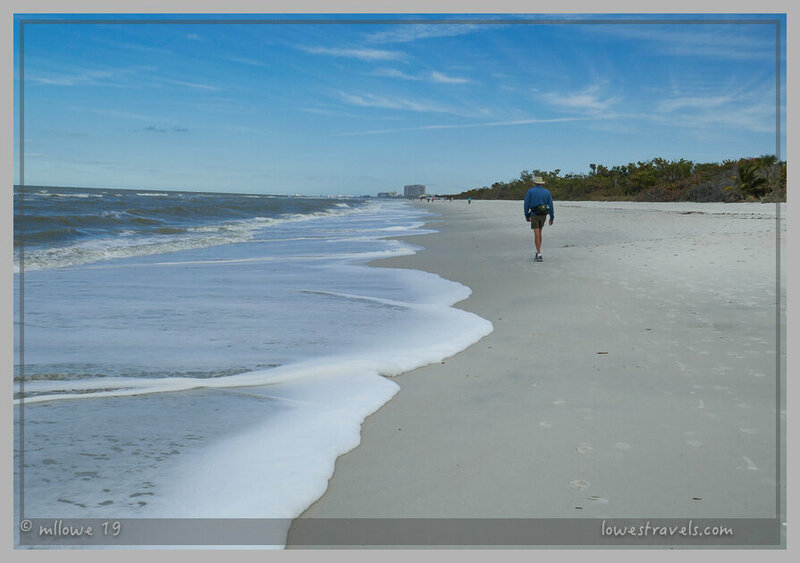 We’re in the Panhandle, hosting at Topsail & we’ve had our share of chilly days! 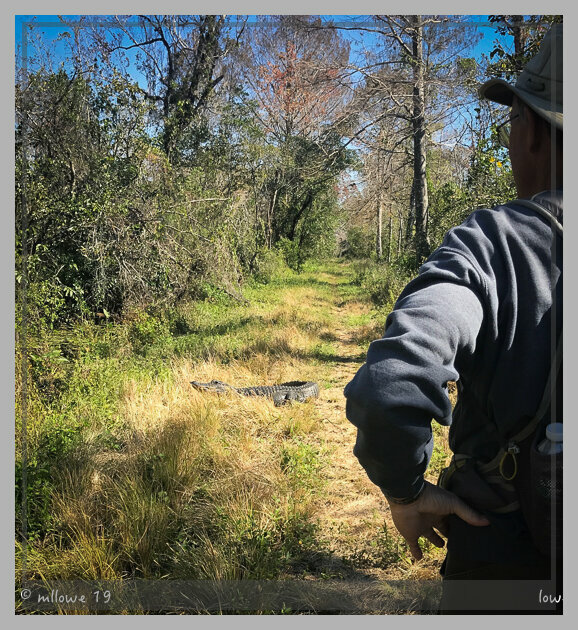 Still haven’t seen a gator, can’t imagine getting that close….looks like they really don’t care??? As always, awesome wildlife pics! Hope you are still in Topsail first week of March! Yes, we’re able to stay the month of March!! What site will you be in?? Time really flies, you’ve left Naples already. I know it was a mixed bag for you but your wildlife experiences were for the record books! Safe travels as you move along, we hope to see you down the road. We kept busy to entertain ourselves and was glad there were sanctuaries to explore to. 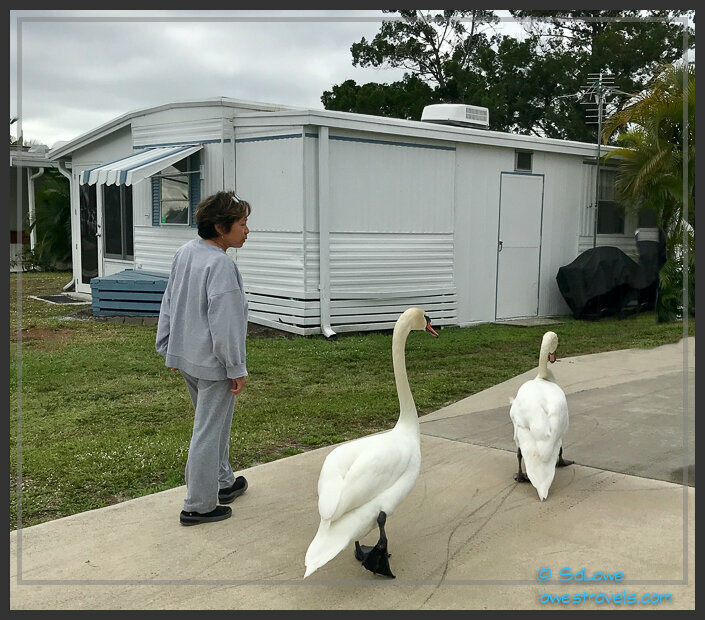 Your month in Naples looks a lot like ours in Tucson, getting caught up with friends and chores, except you had beautiful swans to accompany you on your morning walks. I am so jealous of the painted bunting sightings!! Not so much the gators, YIKES! 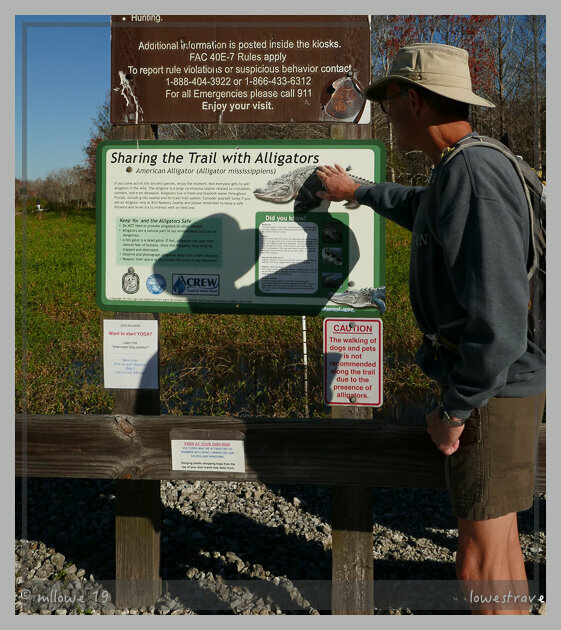 It’s a good thing Steve could read the sign about sharing the trail with them because it looked too high for them to see, not that they would follow the rules anyway. Glad they let you pass in peace and live to share yet another great post! My high blood pressure rose as we figure out how to get out of there, an unforgetablle encounter that I don’t want to duplicate ever! I can see how your month flew by. I’ve always enjoyed the Gulf side of FL and maintain a healthy respect for those gators. Your encounter was too close for my comfort! Enjoy your travels west. Thank you for this post! It’s wonderful. I love the wildlife photos! And I just added to the post, 🙂 I missed it the first time.